Have you ever desired to explore the underwater world? Yet not sure if you can make the financial or time commitment? 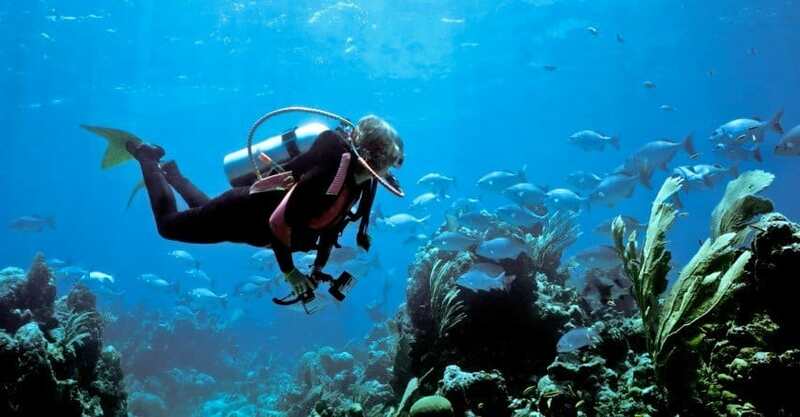 Scuba diving has become synonymous with a PADI certification. Is Scuba Diving illegal without certification? It is not illegal to dive without certification. However, without proper diving certification, dive shops will not sell or rent you compressed air. This does not apply to any other scuba diving gear. You will also not be able to dive off any commercial boat or with a registered dive club. It is, however, possible to go for a dive without having your scuba diving certification and that is one of the topics I will discuss here. I will also share with you the benefits of getting certified, what to look out for in your introductory diving course, and non-certification alternatives. How Deep Can You Dive Without Certification? Is Scuba Diving Safe for Non-Swimmers? How Much Does It Cost to ​Get PADI Certified? For some reason, there have been many instances of people completing their Open Water Course and suddenly thinking they have enough knowledge to take their non-certified buddies for a dive. This is exactly where the majority of dive accidents happen. Uncertified, unprepared individuals go underwater, do not know what to expect and can make a simple mistake that results in decompression illness or death. Without taking the course, you might not be familiar in reading your dive computer, understanding why it is telling you to ascend, how to communicate, how to avoid rip currents or avoid decompression illness. Just like driving without a license, you can probably get away with it, but it just takes one little mistake to seriously put yourself and your passenger in danger. While it is not illegal to dive without certification, the only way to do so on a commercial vessel is to be supervised by an instructor. Before you take the deep plunge into a four-day certification course, you may want to attempt this try dive. The PADI Discover Scuba Diving program combines some basic, vital theory with a couple of introductory skills. A qualified instructor, with a maximum ratio of four divers to one, will allow you to experience underwater breathing while safely supervised. The introductory skills include a mask clear, regular recovery and alternate regulator breathing. This last skill is necessary in case your own gear fails and you must rely on your dive buddies. Once you have completed these skills in shallow water (shallow enough to stand in), the Instructor may take you for underwater exploration. Almost all the divers I have taken on an introductory discover scuba dive have fallen in love with it and wanted to continue to the next level of diving. After your first taste of ocean exploration, getting certified is the next logical step. Diving is one of the safest sports in the world, if done correctly. To do just that, you need to learn some of the extensive dive theory which has been trialed and tested since early Navy Diver days. When you go diving, your body experiences extreme pressure differences, alien environments, and technical gear. Getting your first level certification will at least give you a glimpse into dive theory. You will learn about what is happening to your body physiologically so you can stay safe. You will gain an understanding of compressed air and the equipment required for submerged breathing. Most importantly, you will learn how to deal with basic emergency situations and the importance of pre-dive safety checks, dive plans, and buddy systems. 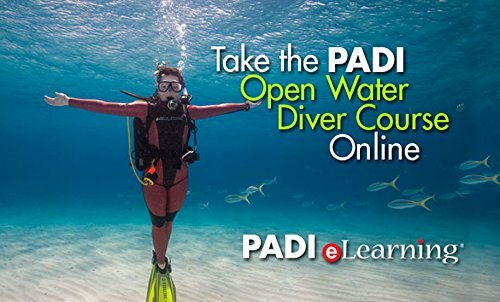 The PADI Open Water Course is the most popular entry level diving course in the world. It consists of a day of theory (along with 5 chapters in the Open Water Dive Manual), one day in the pool and four open water dives. Prerequisites for the course include the ability to tread water for 10 minutes, swim 200 meters and be minimum 10 years old (11-12 junior restricted and 13-14 junior open water diver). The course content is straight forward and simple but provides vital information for your safety. Dive theory can be conducted in the classroom after the students have read the manual at home, or the entire thing can be ​done online through e-learning. If you have the choice between the two, I would highly recommend choosing the in-classroom experience. This way you will absorb the information better and have a qualified instructor around to answer any questions there and then. There is a 50 question exam at the end of the theory. Confined water training provides you with a safe controlled space to practice skills that you might later need to use in the ocean. The pool session is comprised of five mini dives and 24 skills. This is when you learn to set up your equipment, go through pre-dive safety checks and begin to work in the buddy system. The skills include mask clearing, regulator recovery, buoyancy practice, skin diving, and signaling. Once you have successfully completed all the confined water skills, you get to graduate onto Open Water. Now, this depends on where you are getting certified, but open water can be in the ocean, river or lake. Before your certification, you must complete four open water dives. Here you will be practicing your descents, slow ascents, safety stops, hand signals, skills, and buoyancy. After the pool session, open water is quite different as you must combine your knowledge with surge, currents, salt, and deeper water. Getting your PADI certification will allow you to dive worldwide without needing an instructor to hold your hand. It gives you the freedom to travel and enjoy exotic diving destinations without the additional hassle or price of professional supervision. It also makes diving far more enjoyable and safer. You will know what to look out for, have a better understanding of the fish life and minimize any stress. So, you want to get into diving and are looking for the perfect course for you. The most popular introductory course is the PADI Open Water Course, closely followed by the SSI course. Professional Association of Diving Instructors and Scuba Schools International offer similar courses, but the experience will greatly vary depending on your diving instructor. When you are picking your course, I would always recommend choosing the longer course (4 days vs 2/3 days) to ensure you have enough time to comfortably complete all the assessment. The next thing I would suggest you consider is the instructor who will be teaching you the course. If you can, meet your future instructors and check whether you click. The instructor’s attitude, experience, and personality will be what can make the course average or something you will remember for the rest of your life. If you decide to give the Discover Scuba Dive a try, this will give you a glimpse into the underwater world while staying safely supervised. The instructor will take you to a depth of maximum 12 meters after you have completed a dive theory briefing and cleared your mask, recovered your regulator and practiced emergency alternative breathing. One of the requirements for your Open Water course is the ability to swim 200 m and tread water for 10 minutes. For safety reasons, it is better for divers to be relatively comfortable in the water to minimize their mental stress and to be able to swim in case of an emergency. The cost of certification greatly varies on the location where you are getting certified. The PADI certification pack cost is around ​$120, each dive ranging from $20-60​, instructor wages variable and equipment dive shop dependent. All in all, you can pay as little as $200 up to $700. Certification helps you become a safe diver, so consider it a worthy investment into your dive education.